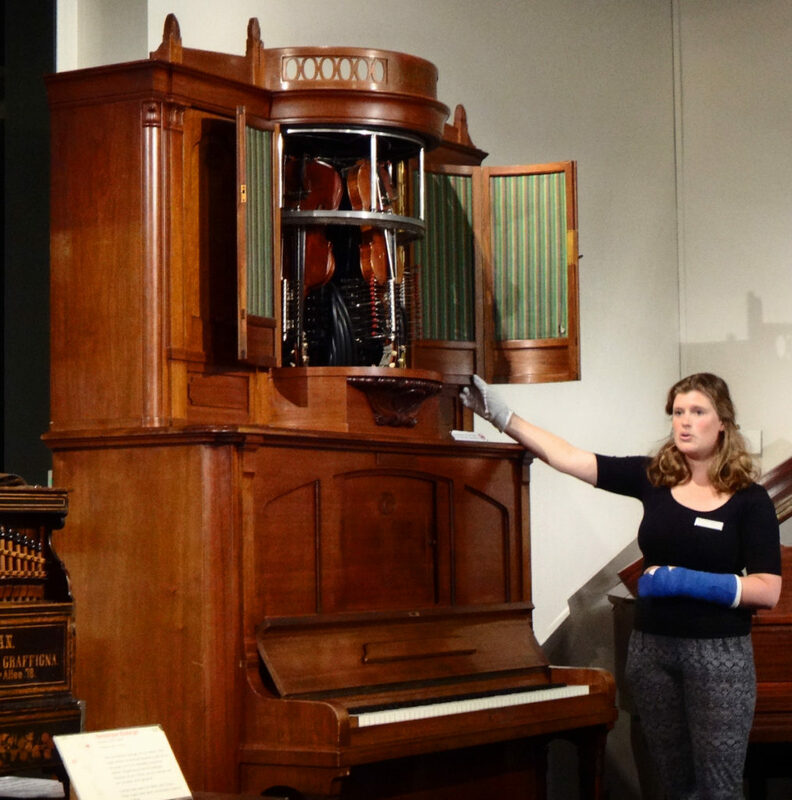 We discovered a museum of automatic musical instruments in Ultrecht, the Speelklok Museum. Our family’s most special heirloom is an antique Eckhardt silver music box that my grandfather brought with him from Croatia. 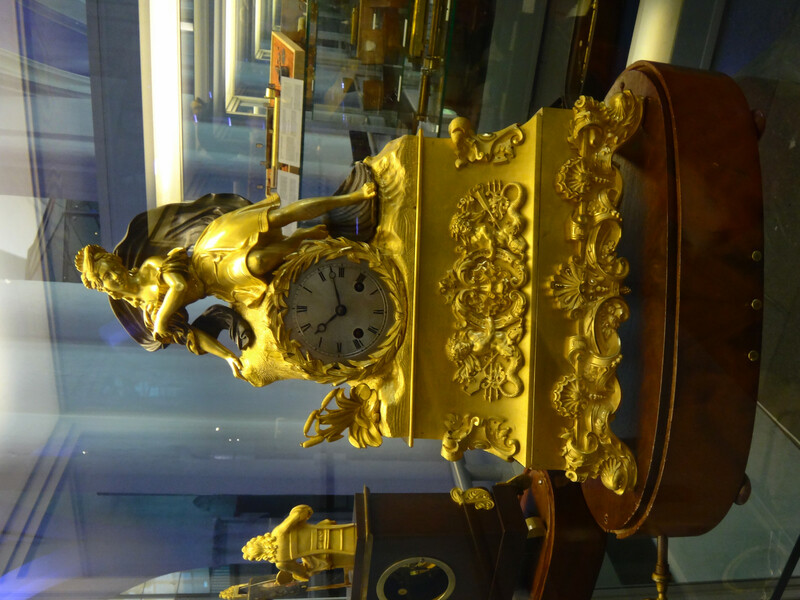 So this little museum of music box wonders was a delight for me. Our family’s music box is also a tree stand. Our old German music box plays Silent Night and Oh Sanctisima. 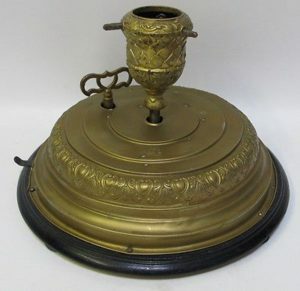 My father used to put it out every Christmas with a small Christmas tree that would spin. Here’s a little video of the music box. We took the excellent tour provided for free by the museum. Our guide easily switched between Dutch and English while giving children in the group the opportunity to operate the machines. If we had not taken the tour, we would not have seen so many machines operate. 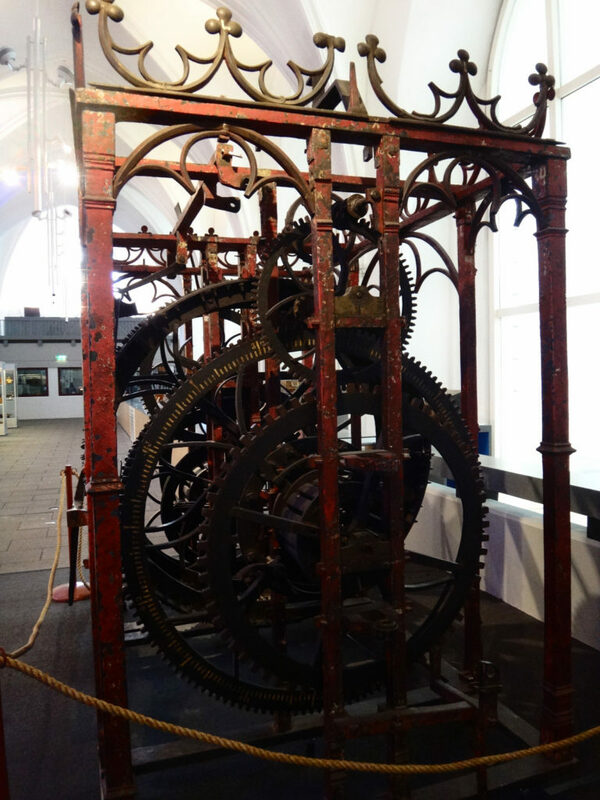 This machine was a highlight of a world’s fair in the mid-1800’s. It played the visible piano and violins with drums buried deep in the casing. Visitors actually thought children might be inside the box playing the instrument. 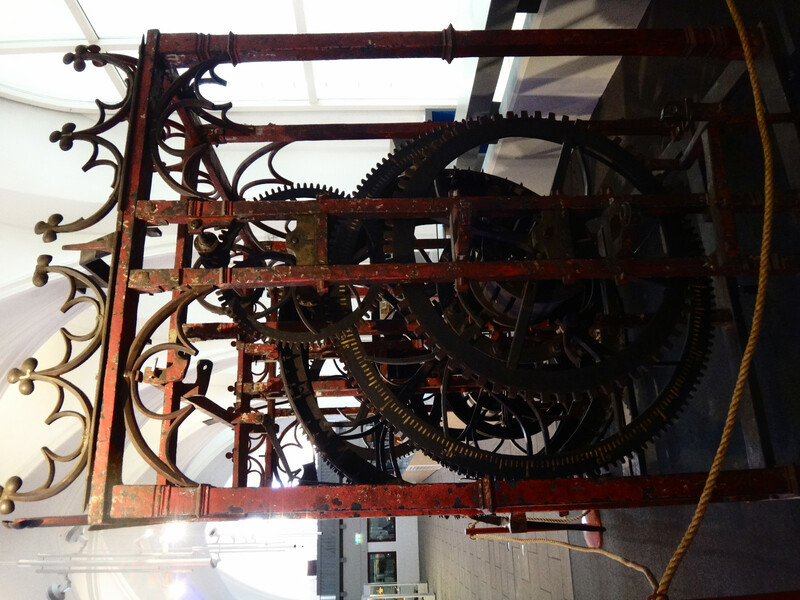 Here is the machine (above) operating. Many of the machines are so easy to play that even a child can play them. This child was asked to demonstrate during our tour. 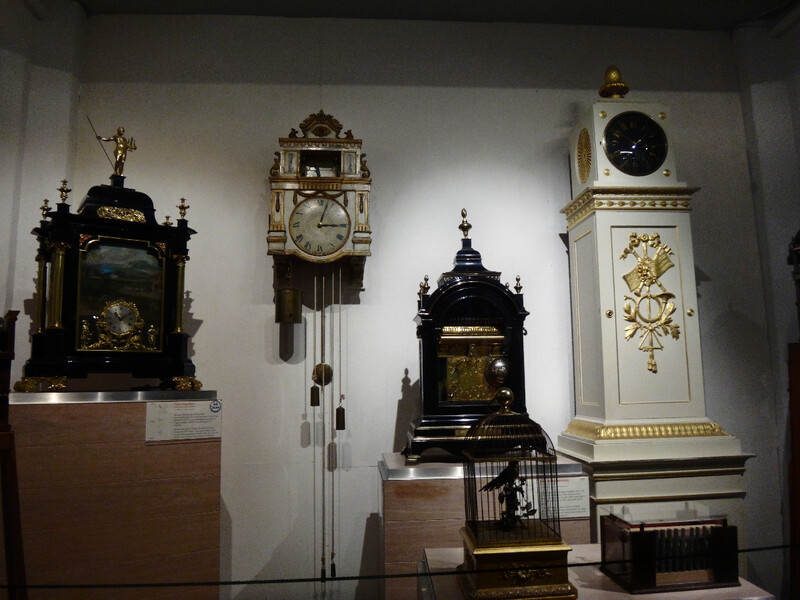 You can easily see the diversity in design of these music boxes and clocks. Here is a short video of the bird in the cage (photo above) performing. And here’s another short video of the operation of the small box to the far right. 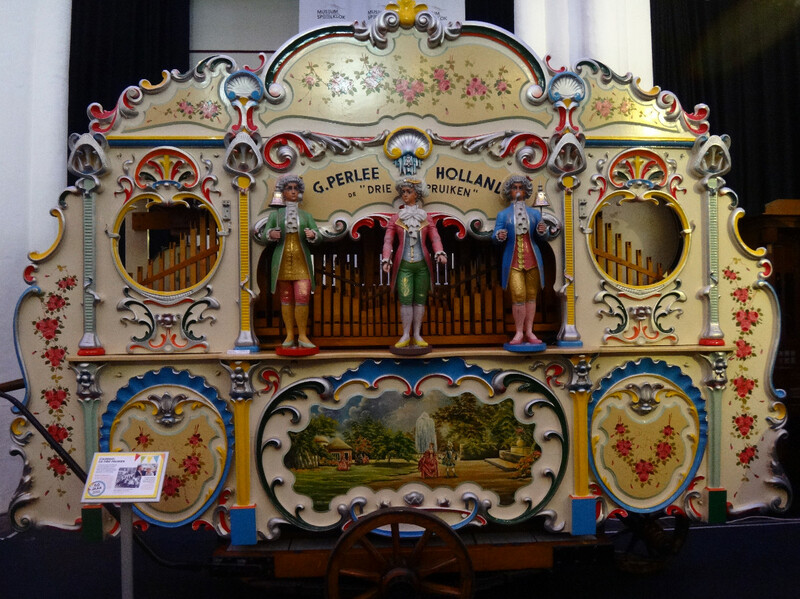 This is the large calliope-type musical instrument that works perfectly, booming out tunes that fill the museum with sound. 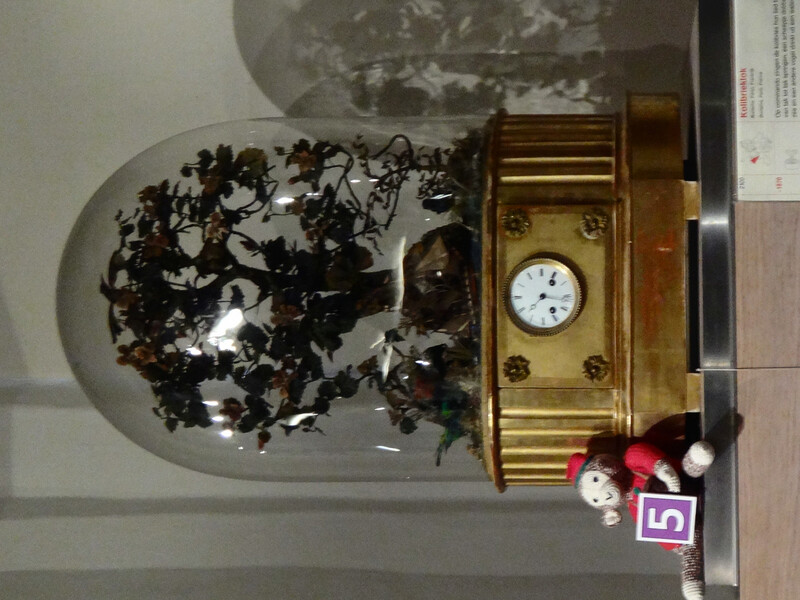 This music box/clock plays a sweet little tune as birds twirp in the trees. 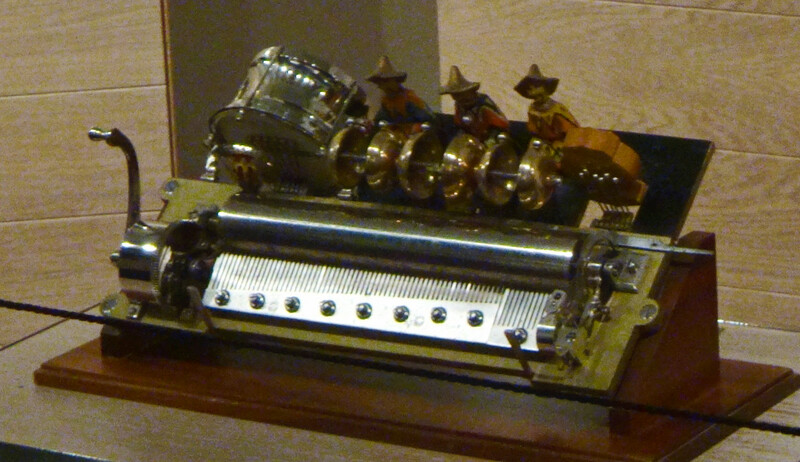 When you turn the handle on this little automaton, the spindles play music and the band members at the top play drums. Here’s a video of the music box (above) in motion. 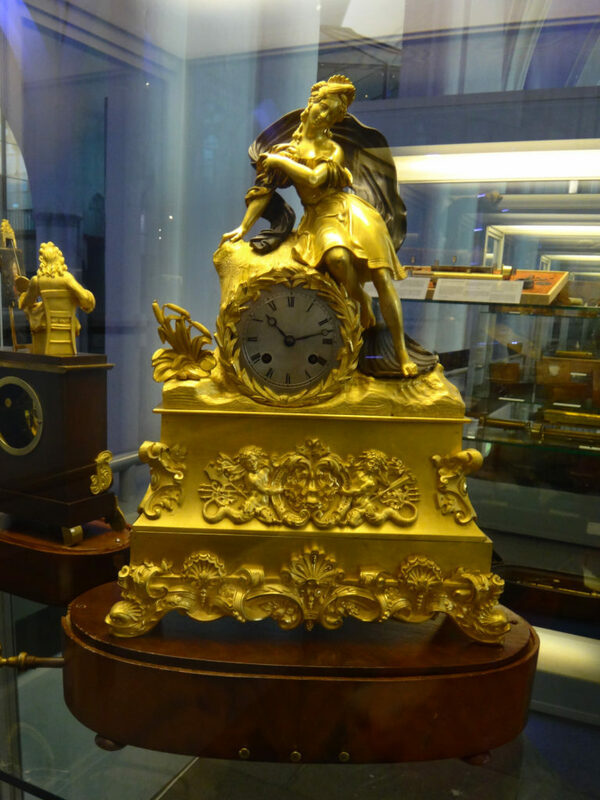 This heavily gilded clock is a typical music box in the museum. 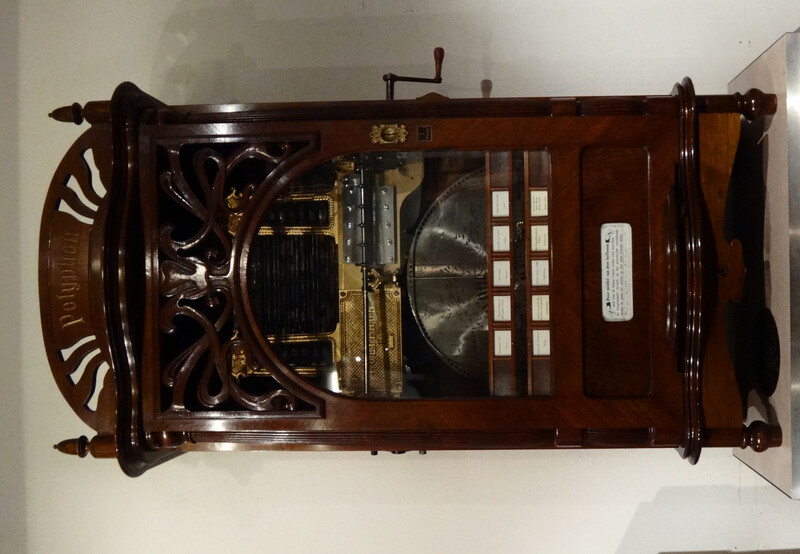 This is actually a juke box and plays a selection of several songs which the operator can choose. 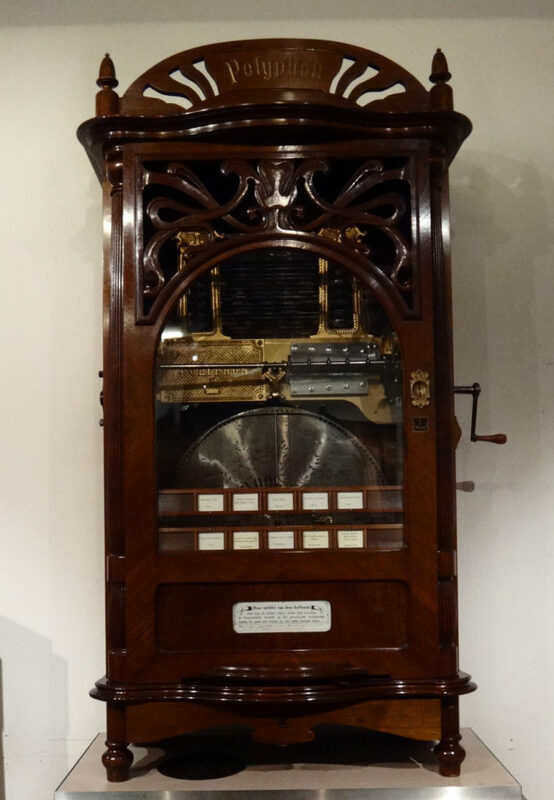 Here is the juke box playing a sweet old tune. Here is a little video of a bunny popping up mechanically – but he is shy and quickly disappears. This video is about a huge automatic machine playing one of its tunes. (I do not have a photo of this machine but you can see it in the video.) This is what the dampers look like opening and closing when the huge machine is working. These are the inner workings of an old large musical machine. 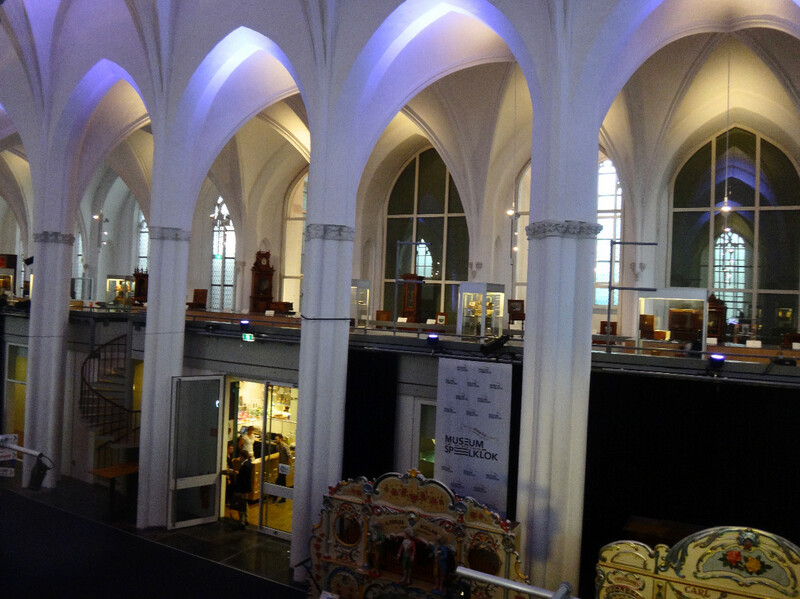 The entire museum is housed in a renovated old church. According to our Amsterdam tour guide, only about 40% of people in the Netherlands belong to a church and fewer than 10% worship regularly. 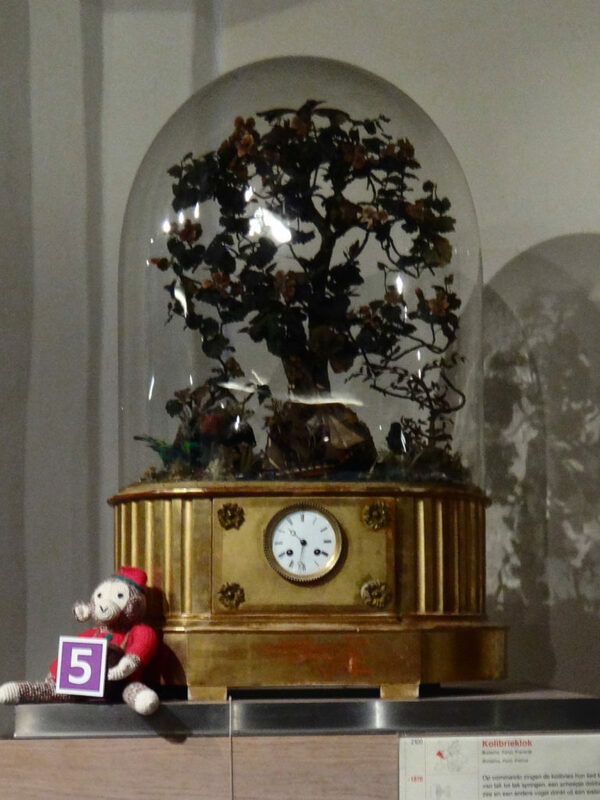 That means there are a lot of churches throughout the country that have been decommissioned and are now used for new purposes such as the Speelklok Museum. The museum designers wisely chose to keep some of the heritage pieces on display in the church. You can see the museums heritage as a church in its very walls. For example, this old bread table for the poor dates from 1603. Back in the day, guilds would sponsor their own altar in a church such as this bread table for the poor sponsored by the Saint Eloy Forgers’ Guild. According to a plaque in the museum, guild members used an inheritance from a rich forger to hand out five cents worth of bread and five cents in coins to 20 less fortunate members of the guild every Sunday. This is a guild bread board that once was used to provide help for the poor when this museum was a church. 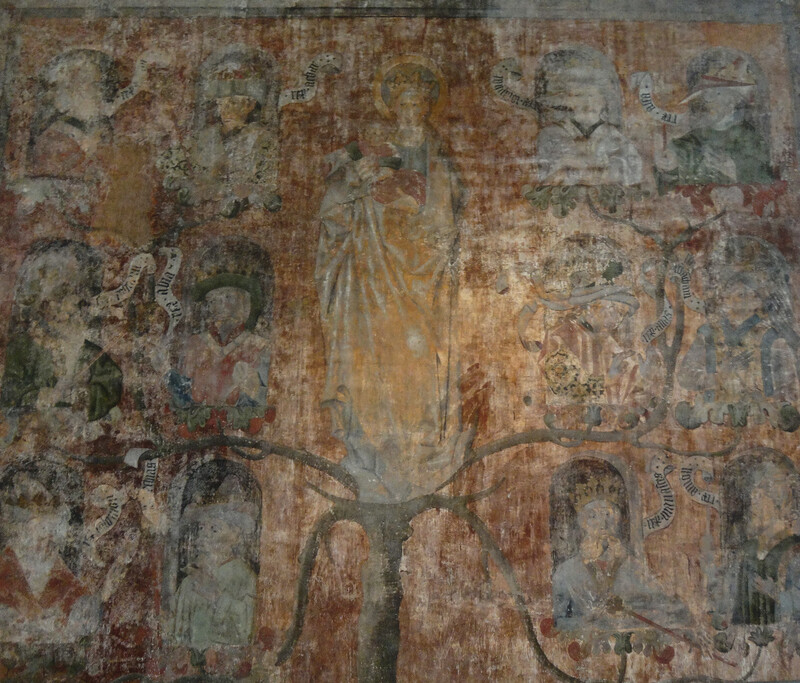 The remains of a fresco on a wall in the upper loft shows the Tree of Jesse, a depiction of the lineage of Christ according to Jesaia II and Mathew I. 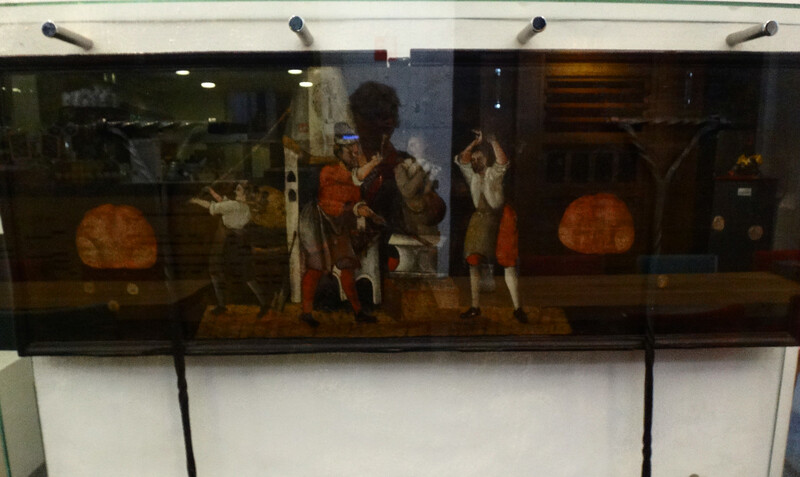 This artwork was created by the Master of Evert van Soudenbalch about 1550. In 1600, the Netherlands was the richest country in the world and the great art of that period is seen as the result of those riches throughout the country. This tapestry depicting Jesus’ lineage dated from the mid 1500’s. Admission to this don’t-miss museum is covered by the Museumkaart. Here’s one more little video that is a bit of a fantasy of a summer night. Previous Previous post: Nice – Yes, Nice!